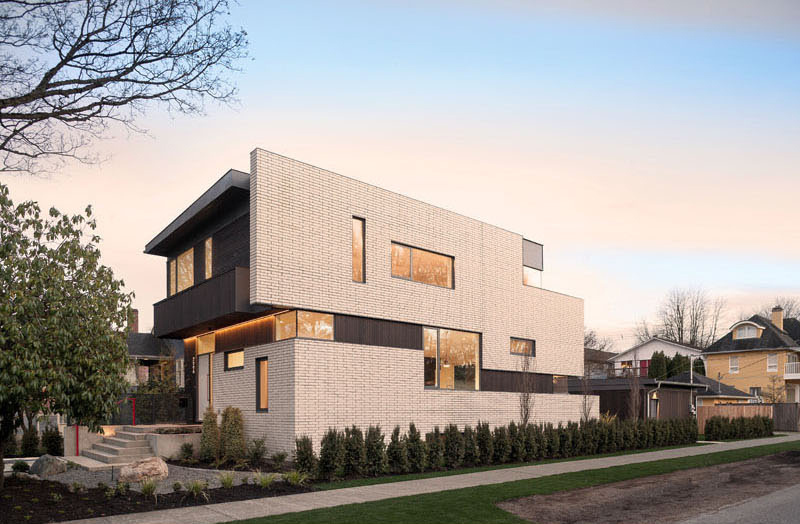 White brick walls cover the exterior of this beautiful modern house. A home’s design varies in style and look although it will also use the same elements as that of other homes featuring lines and shapes. 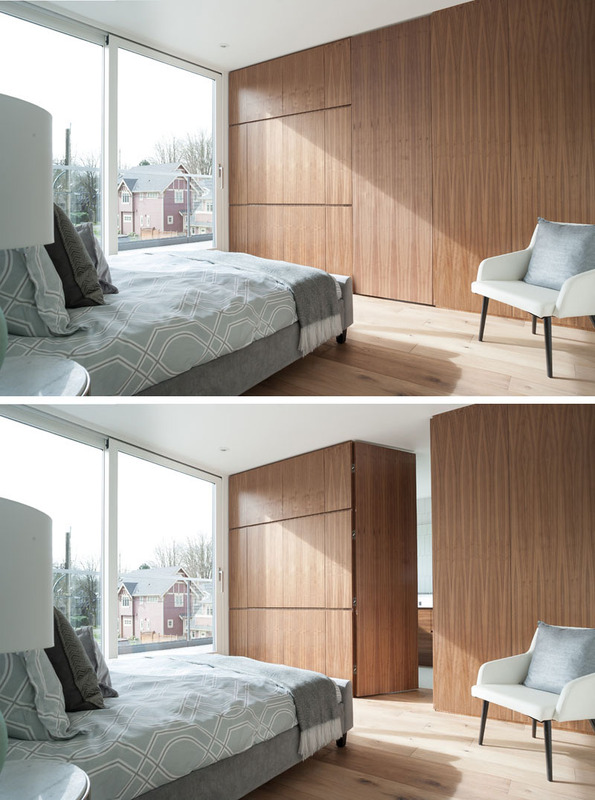 But designers are really creative for arriving into a unique home design despite the huge number of modern homes that we see these days and this can be achieved by using a variety of materials and also by other factors as well. We all know that every home also differs in size and shape and the budget of the owners also varies which may affect the look of a home. 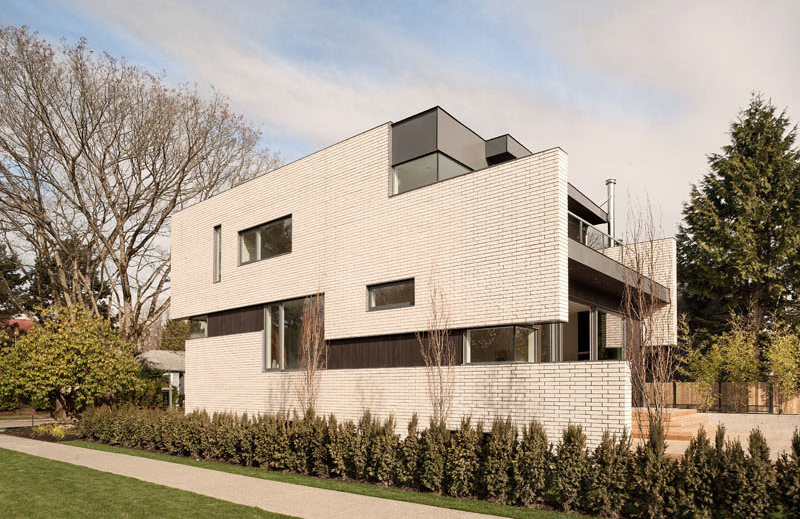 This project called West 11 is located in a quiet neighborhood in Vancouver wherein the lot is situated on a corner, which the building addresses with a long, punctuated white brick facade. 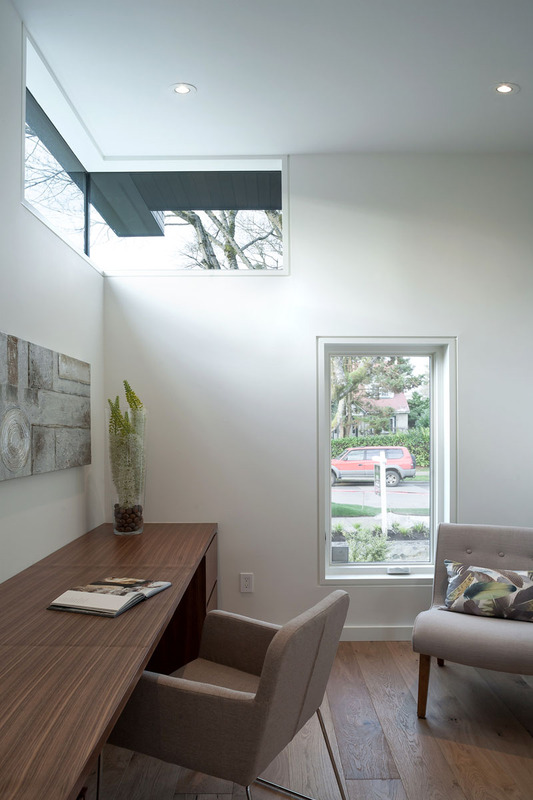 The wall implies movement and is separated top and bottom by wood siding and corner glazed window units. The facade will be grounded along its length with a hedge. The upper brick wall is addressed on front facade as a vertical edge, separated from the charred wood siding by a floor to ceiling window. The lower brick wall wraps the corner and term at the entry. At the rear of the house, the brick wall forms a parapet for the master suite’s roof deck, and the lower wall continues into the landscape. 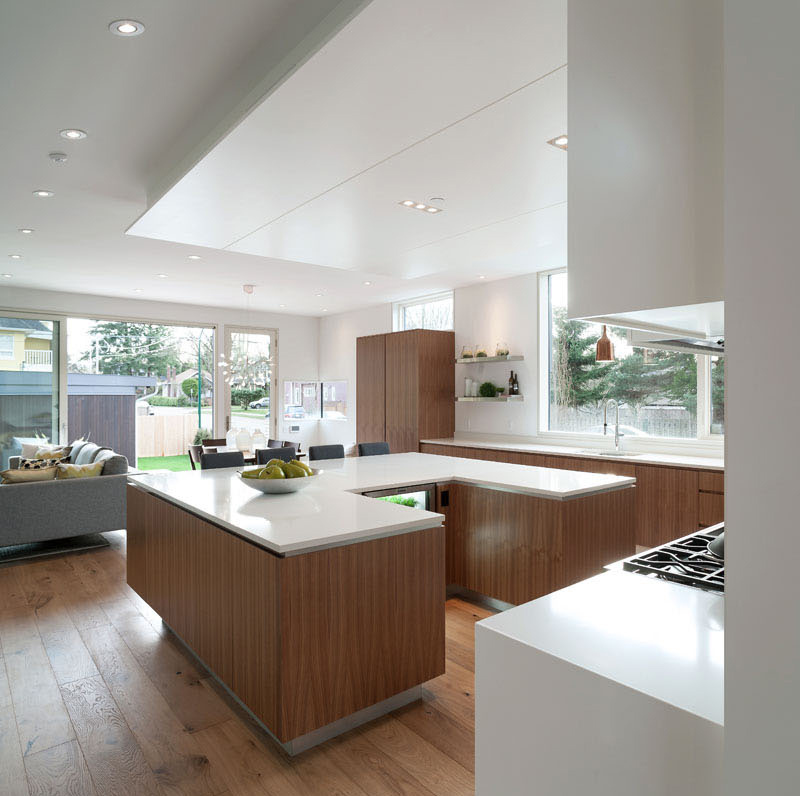 Architect Randy Bens and NRT Developments have completed this home in Vancouver, Canada. Unique feature: A modern home with white brick and dark stained cedar siding. It also features a beautiful and neat interior design. On the side of the house, it still used white bricks in the exterior walls and it has bushes surrounding it too, adding to its appeal. 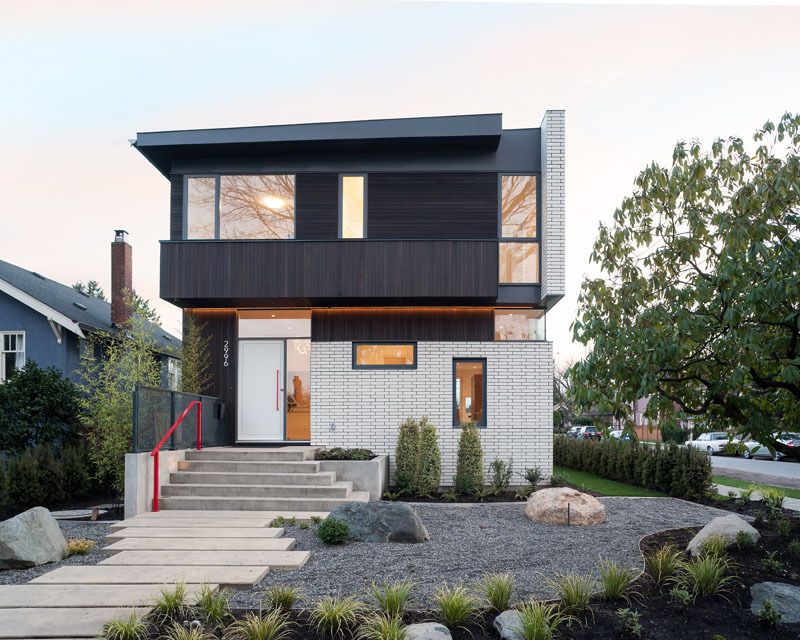 The home’s facade looks really beautiful and attractive with a mix of materials in the exterior including white brick walls and dark wood. I also like the garden in the facade which apparently has a modern design. 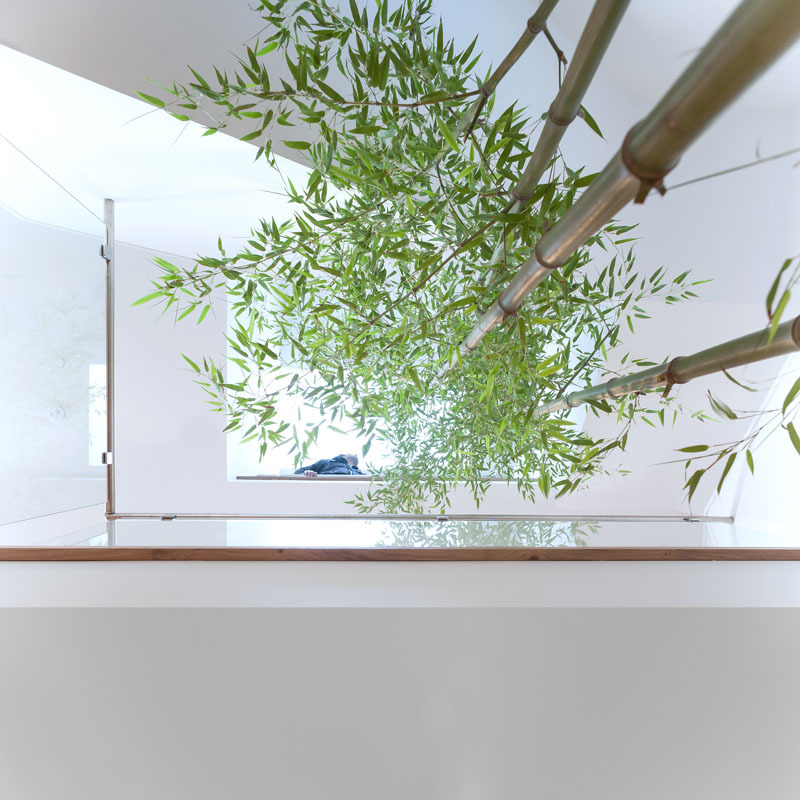 A bamboo garden is seen below the kitchen and the bamboo extends to the area which we can see here. 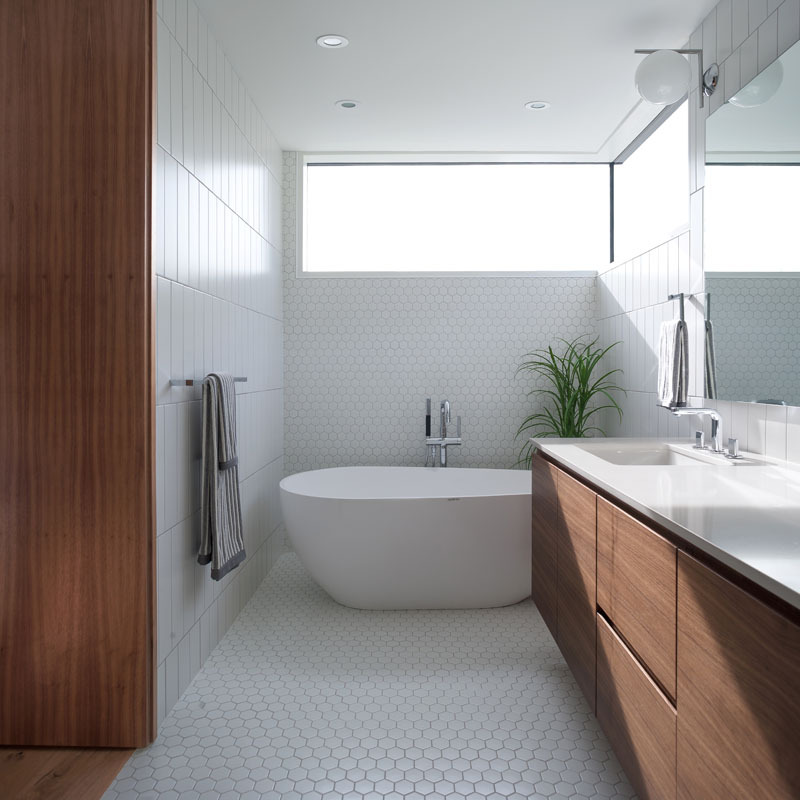 Its usage of white and wood is just beautiful and it looks really neat. 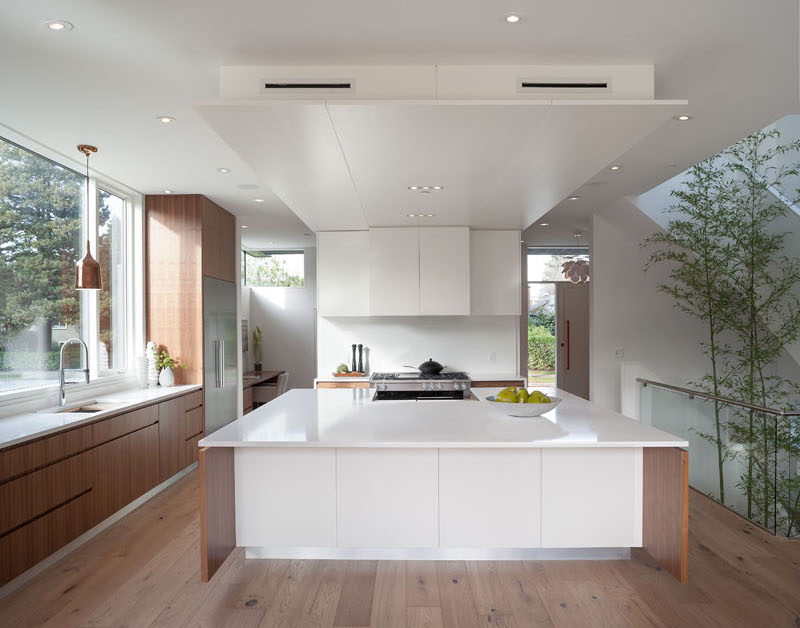 In the kitchen, there is a large picture window that allows the homeowners to see what is outside the house. Notice also the kitchen uses modern equipment and fixtures in it. Beautiful, right? What I love in this home is the exterior that is covered with white brick walls. I also like its design of course which is very modern but is also very extraordinary. There are even more surprises in the interior too which includes wooden features combined with white. 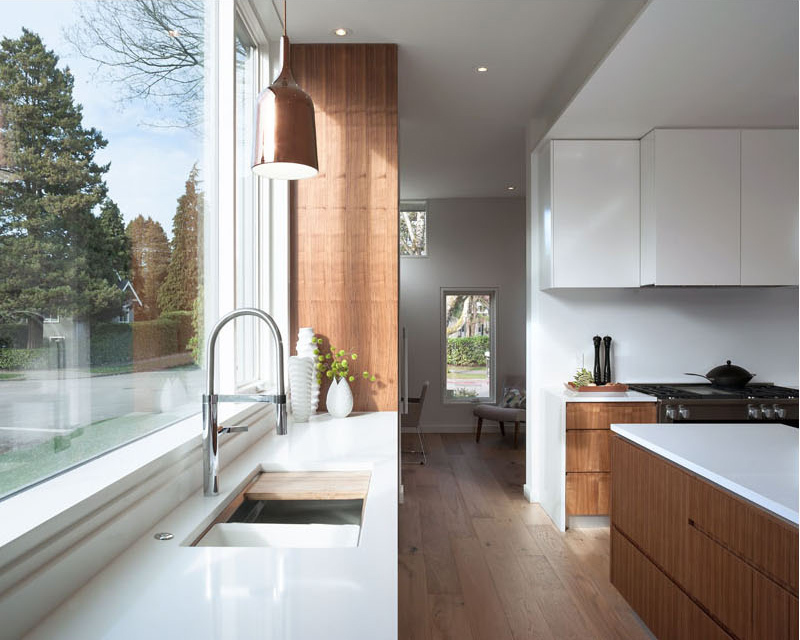 All in all, this is a stunning house design which is a result of the collaboration of Randy Bens Architect and NRT Developments. How about you , can you tell me what features of this home is your favorite?